dkardarakos abandoned D20498: Change namespace of MobileCursor. Not relevant anymore, @mart fixed it as a separate commit. dkardarakos updated the test plan for D20498: Change namespace of MobileCursor. dkardarakos requested review of D20498: Change namespace of MobileCursor. dkardarakos committed R169:b897b37b254b: Prevent context drawer from disappearing (authored by dkardarakos). dkardarakos closed D19977: Prevent context drawer from disappearing. dkardarakos added a comment to D19977: Prevent context drawer from disappearing. dkardarakos requested review of D19977: Prevent context drawer from disappearing. dkardarakos committed R982:86bdd821dfb4: Screenshot changed to show telephony service and avoid battery indicator that… (authored by dkardarakos). 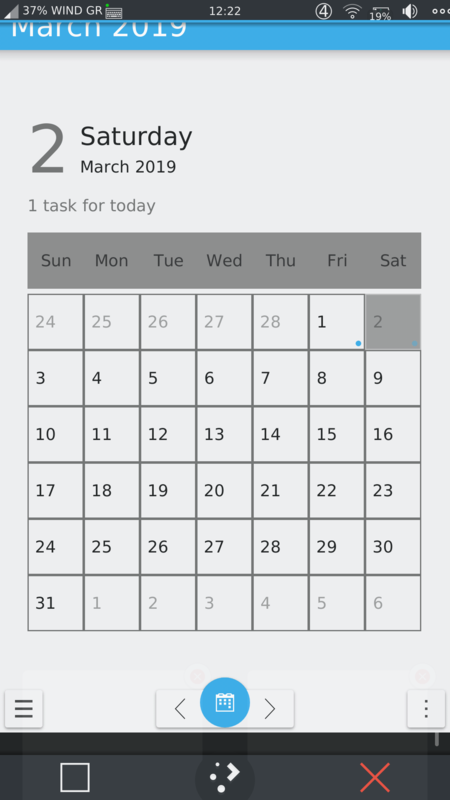 dkardarakos added a comment to T6942: [wip] Calendar application. dkardarakos committed R20:f1de8362165c: Prevent password from being visible (authored by dkardarakos). dkardarakos closed D19076: Prevent password from being visible. dkardarakos added a comment to D19076: Prevent password from being visible. Maybe it would make sense to set passwordMaskDelay: Units.longDuration? dkardarakos added a reviewer for D19076: Prevent password from being visible: Plasma: Mobile. dkardarakos requested review of D19076: Prevent password from being visible. dkardarakos committed R982:af4497aaae54: Updated documentation section and added fix for qemu user static in Neon (authored by dkardarakos). dkardarakos committed R982:c8582a34f04c: Change debian icon (authored by dkardarakos). dkardarakos committed R982:f37f874a0a68: Revamp download page (authored by dkardarakos). dkardarakos committed R982:7d8e83899f7c: Port roadmap (milestones) from documentation (authored by dkardarakos). dkardarakos committed R982:f13aced5d926: Add FAQ page into Project section (authored by dkardarakos). dkardarakos committed R982:1c9e5115b7f6: Port FAQ page from documentation to plasma mobile web site (authored by dkardarakos). dkardarakos committed R1014:d8ce1591e861: Port Cards Grid, Cards List and Inline Messages extra information to json-based… (authored by dkardarakos). dkardarakos closed D18839: Port Cards Grid, Cards List and Inline Messages extra information to json-based info sheet. dkardarakos updated the diff for D18839: Port Cards Grid, Cards List and Inline Messages extra information to json-based info sheet. Changed links that pointed to the kirigami repository, to kirigami-gallery which is more useful for the contributors. dkardarakos requested review of D18839: Port Cards Grid, Cards List and Inline Messages extra information to json-based info sheet. dkardarakos committed R1014:d780fc1db376: Create a dynamic way to provide component information (authored by dkardarakos). dkardarakos closed D18823: Create a dynamic way to provide component information. dkardarakos requested review of D18823: Create a dynamic way to provide component information. dkardarakos added a comment to D18821: workaround a defect with bubblewrap and binfmt and qemu-arm-static. After executing the workaround command, flatpak-builder for arm works as expected. dkardarakos committed R982:c9a8cd787381: Remove Nexus 5 from the list of supported devices (authored by dkardarakos). dkardarakos added a comment to T6937: Contact book application. dkardarakos updated the task description for T6937: Contact book application. dkardarakos abandoned D16807: Fix colors in sound settings. dkardarakos committed R132:9cb6d54fd2b3: Avoid adding quint32 to a string (authored by dkardarakos). dkardarakos closed D17604: Avoid adding quint32 to a string. dkardarakos requested review of D17604: Avoid adding quint32 to a string. dkardarakos committed R132:107e78e189f9: Add QUrl scheme when building server url (authored by dkardarakos). dkardarakos committed R982:613e8217f584: Edge rootfs added as a platform option of pm-flash (authored by dkardarakos). dkardarakos added a comment to T10144: add "color coded" tasks under day. Thanks for your feedback and for taking the time to draw your ideas! dkardarakos committed R982:21a9db1e36bd: Kirigami HIG changed to KDE HIG (authored by dkardarakos). 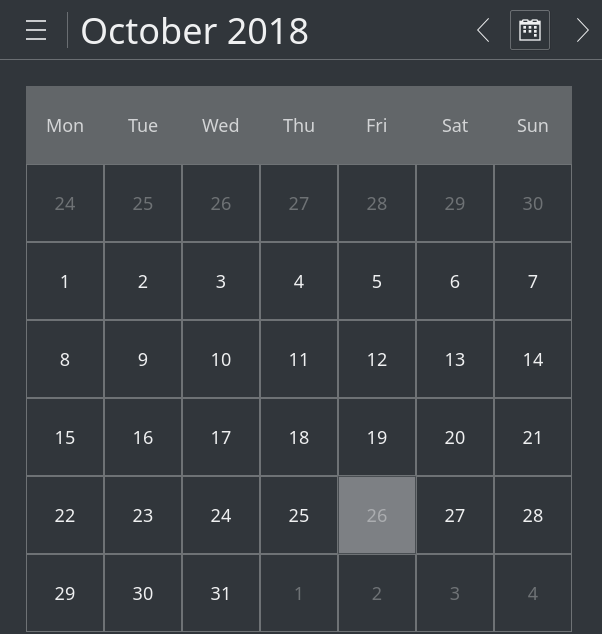 dkardarakos updated subscribers of T6942: [wip] Calendar application. dkardarakos requested review of D16807: Fix colors in sound settings. dkardarakos triaged T10018: Dialpad interface regression as Normal priority. dkardarakos created T10013: Virtual keyboard defaults to uppercase. dkardarakos created T10012: Activate already running applications. dkardarakos created T10011: Screenshots functionality. dkardarakos created T10010: Power button functionality. dkardarakos created T10009: Crash when a new activity is added. dkardarakos added a comment to T9729: Sprint for Plasma Mobile . 8-10/02 would be nice for me. 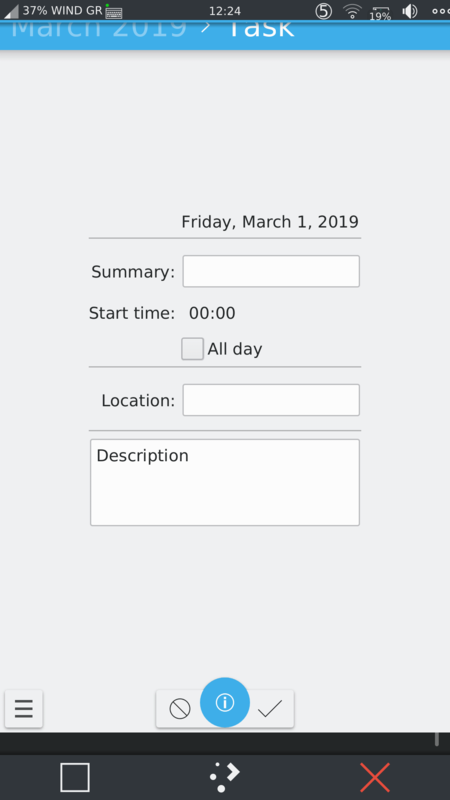 If we opt for a more-than-3-days sprint, the whole post-FOSDEM week is probably also OK for me, but I' ll have to ask for days-off and come back with an update. dkardarakos committed R982:05c0a4c2809e: Blog post about our presence at FOSSCOMM 2018 (authored by dkardarakos). dkardarakos committed R982:bfc07fb237d0: Add images required by fosscomm blog post (authored by dkardarakos). I' ve tried to help newcomers to contribute to Plasma Mobile; with @bshah we tried to make phabricator tasks more complete and easier to be assigned to newcomers and, for the same purpose, I 've created the findyourway interactive guide. dkardarakos committed R169:91ea75c37045: Allow creation of separator Actions (authored by dkardarakos). dkardarakos closed D15143: Allow creation of separator Actions. dkardarakos updated the diff for D15143: Allow creation of separator Actions. Previously introduced "separator mode" removed from AbstractListItem and BasicListItem. dkardarakos added a comment to T8686: Junior Jobs. We had a similar discussion in Akademy! Since string tags can't be added, we have to create either a group or a project. Then, we may use the phabricator API to serve the junior jobs wherever needed. And, why not, create sth similar to the findyourway of plasmobile for KDE junior jobs in general. dkardarakos added a comment to D15494: Grammar and word corrections. It seems that I have no push rights to the website repo. How to proceed? dkardarakos requested review of D15494: Grammar and word corrections. dkardarakos added a watcher for Kirigami: dkardarakos. dkardarakos added a comment to T9609: KDE at 22: Brainstorm. Ask social media followers to describe why they use KDE software using only 22 words. dkardarakos added a comment to D15143: Allow creation of separator Actions. isSeparator function has been added to ensure compatibility with QAction https://doc.qt.io/qt-5/qaction.html#isSeparator. We do not need it? dkardarakos requested review of D15143: Allow creation of separator Actions. dkardarakos committed R982:6b567a580a3d: Merge branch 'master' of git.kde.org:websites/plasma-mobile-org (authored by dkardarakos). dkardarakos committed R982:bbac99209d77: Add a way to get back to the single page contributing guide (authored by dkardarakos). dkardarakos renamed T6942: [wip] Calendar application from Calendar application to [wip] Calendar application. dkardarakos added a project to M129: Plasma mobile weather app: VDG. 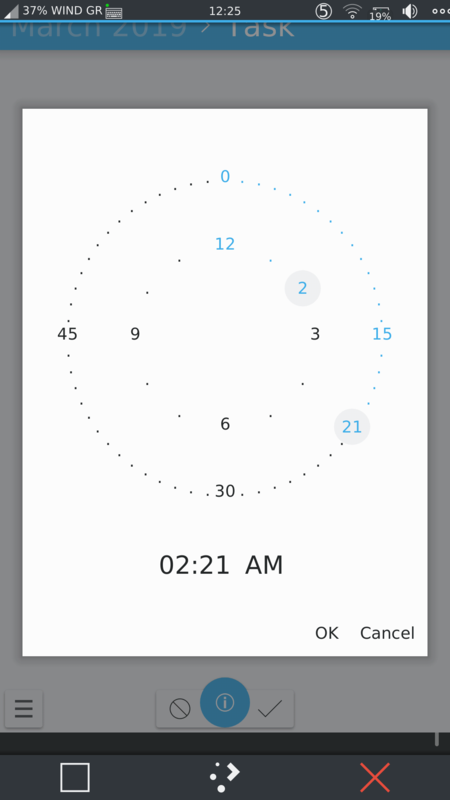 dkardarakos added a project to M132: Plasma Mobile Clock: VDG. dkardarakos updated the task description for T8623: Sprint for onboarding goal. dkardarakos committed R982:4ee1f8247e1c: Fix typo (authored by dkardarakos). dkardarakos committed R982:dd79df1704e5: New find-your-way tasks added (authored by dkardarakos). dkardarakos created T9139: Podcast Manager. dkardarakos created T9137: Feed Reader. dkardarakos added a comment to T8912: FM Radio. We should consider using Radio QML Type since it seems that it fits our needs. dkardarakos added a comment to T8961: Flashlight. Proof of concept repository can be found here. dkardarakos added a comment to T8904: Clock. Great, this was fast! Right, it would also be nice to have a mockup at Pholio, as described in T8963, to let KDE designers review it. You may also find helpful the already in progress design review task M129 (regarding plasma mobile weather app). 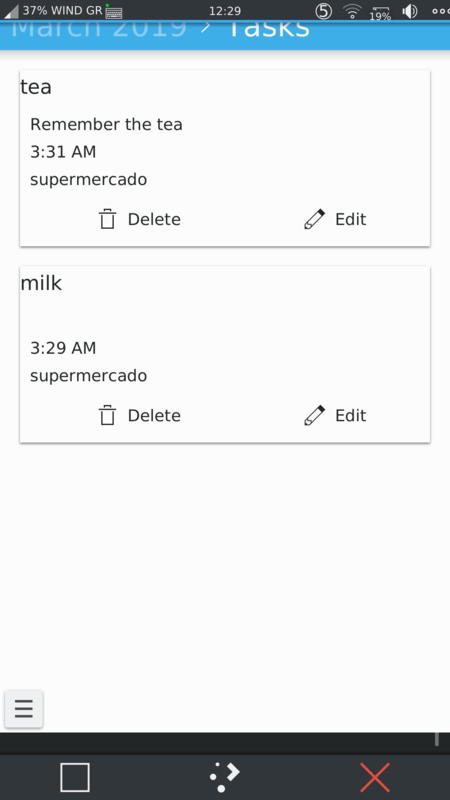 dkardarakos updated the task description for T6945: Camera application. 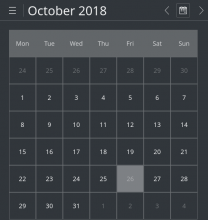 dkardarakos updated the task description for T6942: [wip] Calendar application. dkardarakos updated the task description for T8961: Flashlight. dkardarakos updated the task description for T8906: QR code scanner. dkardarakos updated the task description for T8905: Compass. dkardarakos updated the task description for T8904: Clock. dkardarakos updated the task description for T8903: Audio Recorder. dkardarakos updated the task description for T8900: Calculator. dkardarakos added a comment to M129: Plasma mobile weather app. Unfortunately, for new plasma mobile applications, no relative phabricator place exists for the review to take place. So, for the first reviews and before the new app code reaches KDE repository, we cannot avoid using an external code hosting provider (e.g. gitlab). It is an important issue that we will discuss at Akademy BoF. @nickre if this is not a problem for you, could you please put your code there and put the relative link here so as our devs to review it? dkardarakos added a watcher for Plasma: Mobile: dkardarakos. dkardarakos added a comment to T8901: Weather. dkardarakos added a comment to T8806: Find your way in Plasma Mobile. Findyourway web page has been created. We may use this task for any change needed. dkardarakos committed R982:097a81968680: KDE Connect task added (authored by dkardarakos). This task belongs to a series of tasks we created after a discussion with @bshah trying to offer to Plasma Mobile users the features of the existing mobile platforms. Since mobile users expect such an application, we think that offering a standalone application we will fulfill user needs and make PlaMo ecosystem more complete. dkardarakos committed R982:a5d900762dab: Fix broken logo on small screens (authored by dkardarakos). dkardarakos committed R982:77d4ac1a0674: Change target of kirigami design node (authored by dkardarakos). dkardarakos committed R982:17a7d2c018d5: Remove redundant space (authored by dkardarakos).